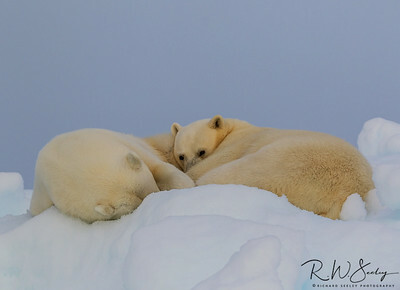 Dreaming of Seals - A mother and yearling cub polar bear sleep on an iceberg. 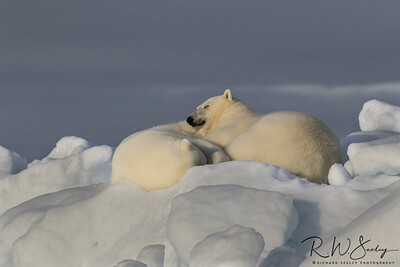 They are probably dreaming of seals - their main food source. 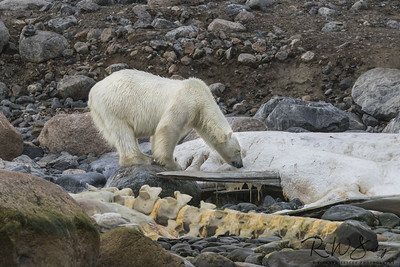 Polar Bear on Carcass - An adult polar bear sniffs the last remains of a sperm whale carcass on a beach. 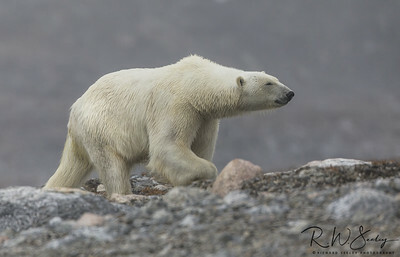 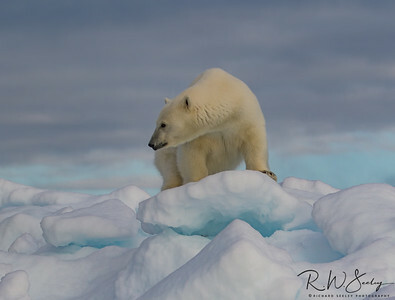 Arctic Prowler - An adult polar bear prowls the ice pack in search of seals. 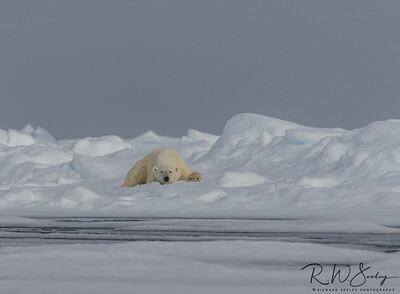 Warily Watching - A polar bear sow warily watches the approach of potential intruders. 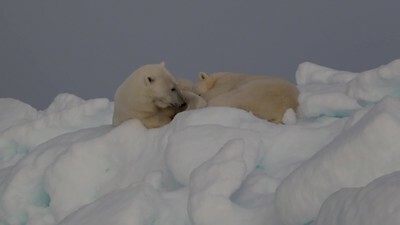 Just Drifting along - An adult polar bear takes a nap on the drifting pack ice. 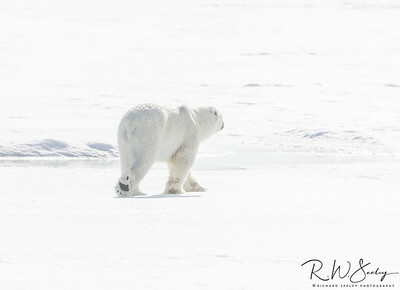 Pads and Paws - An adult polar bear saunters into the snow drift. 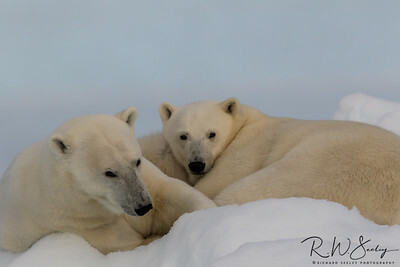 Its black paw pads stand out against its white fur. 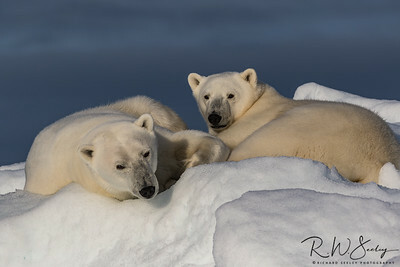 Polar Puppies - A mother polar bear and its yearling cub enjoy the comfort of a snow-berg and look like harmless puppies. 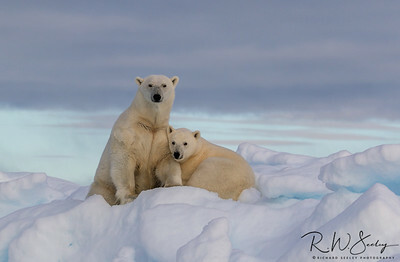 Just Waking Up - A polar bear mother and her yearling cub are just waking up to evening light from a long nap and seem a bit groggy. 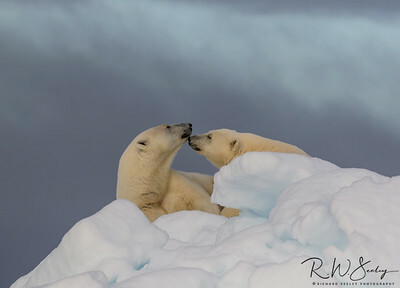 Nose Nuzzle - A mother polar bear and its yearling cub nuzzle each other. 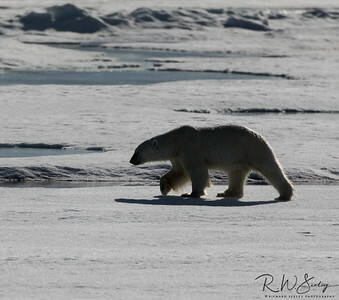 Carcass in Sight - An adult polar bear walks along a beach towards a sperm whale carcass. 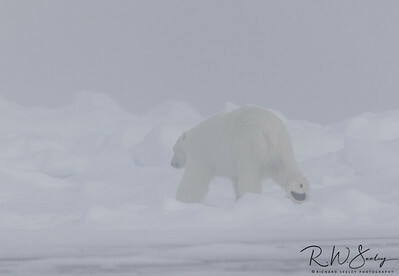 Into The Fog - An adult polar bear walks away into the fog on the drifting ice pack.